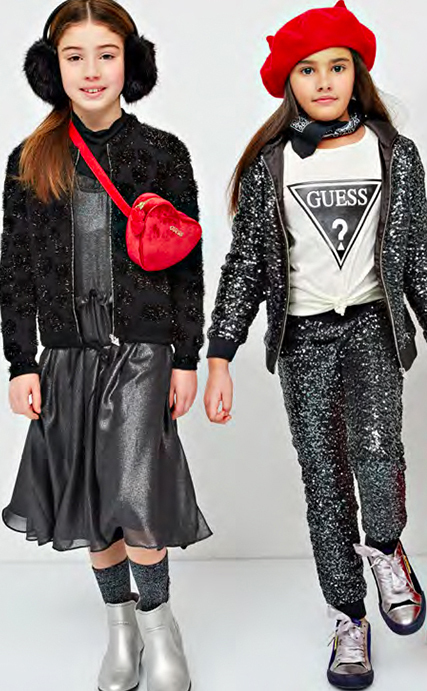 Guess Kids takes us back in time to the college campuses of the 1960’s and 1990’s for their lively collection chock full of lush details from lurex and animal print to embroidery and faux fur. 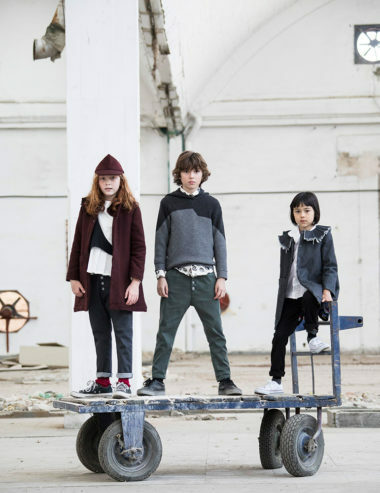 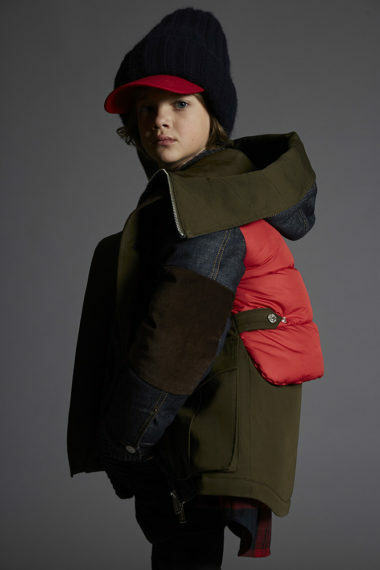 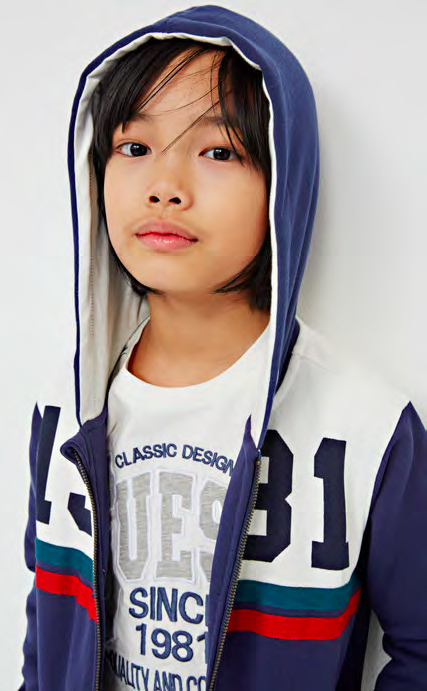 A contemporary collection with a vintage sensibility, key looks for boys include rugby shirts, blazers and denim. 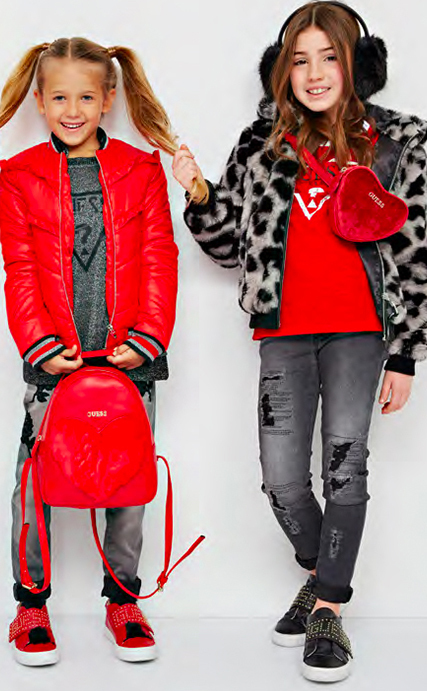 Meanwhile for girls, delicate florals add Parisian elegance to vibrant colors, sparkly sequins, and lamé pieces.